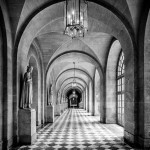 The first two images in the gallery below come from the Palace of Versailles. Amazing place. 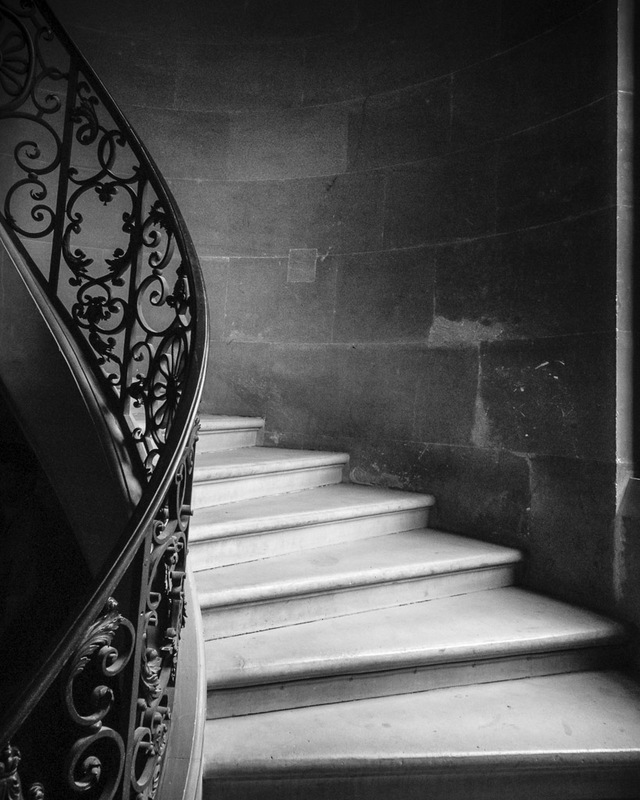 The stairs really speak nothing of the palace itself, but I stopped and waited for the throng to pass as I loved the window light and the stonework. Looking at the actual print now I may go back and put some more separation among the textures of the stone wall. This, incidentally, is one of the many virtues of having actual for reals prints. They have their own vibe that is different from what a monitor projects. Sorry kids, what-you-see-is-what-you-get and “matching the print to the screen” are fallacies. The print stands on its own. But I digress. The hallway in the Palace was somewhat mesmerizing and the print is somewhat trippy as well. 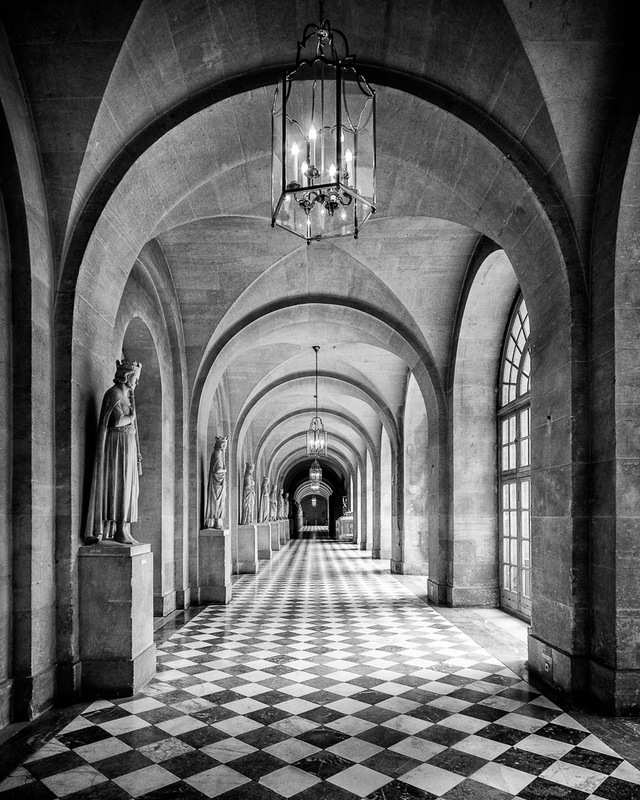 Arches and squares and patterns and textures and perspective and light, contrast between the square tiles and curves of the archways. This is the kind of stuff that really benefits from removing color from the equation, which would otherwise distract from the graphic of it all. I might work this one up to a 16×20″ print. 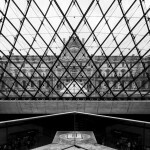 The third shot from the Louvre in Paris similarly plays with shapes and forms. 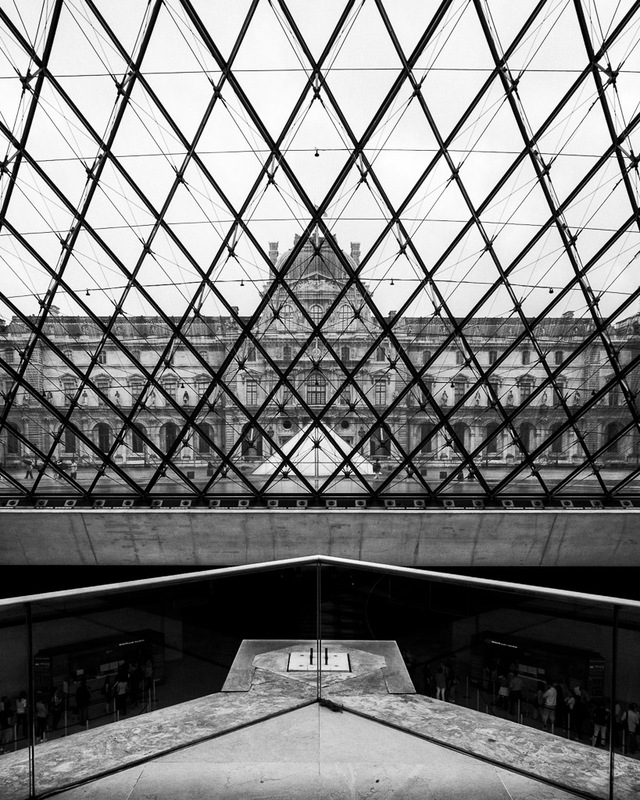 The architecture alone in that museum is worth the visit, let alone all of the art history nested inside. 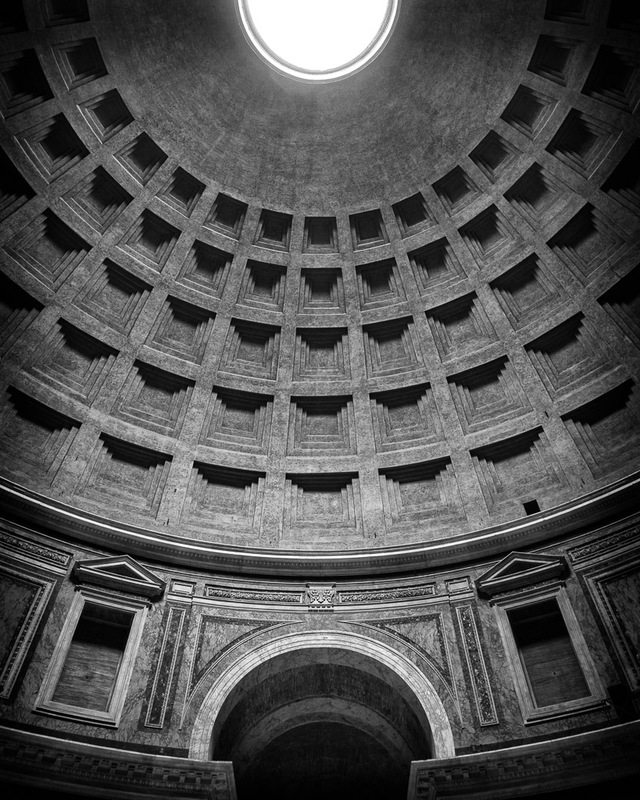 This photo was a bit of an off-the-cuff as those shapes jumped out at me as I helped a hapless tourist with her camera. Shaking my inner-head the whole time as she had invested big cash in a pro Canon DSLR and lens only to leave it in Auto Monkey Mode and still not know what she was doing. That said, if I was paying more attention while framing my own shot I would have stood a bit higher to try and get the point of the railing below opposing floor (or ceiling, depending on your point of view). I would rather it not “break the horizon”. Guess we’ll have to go back. 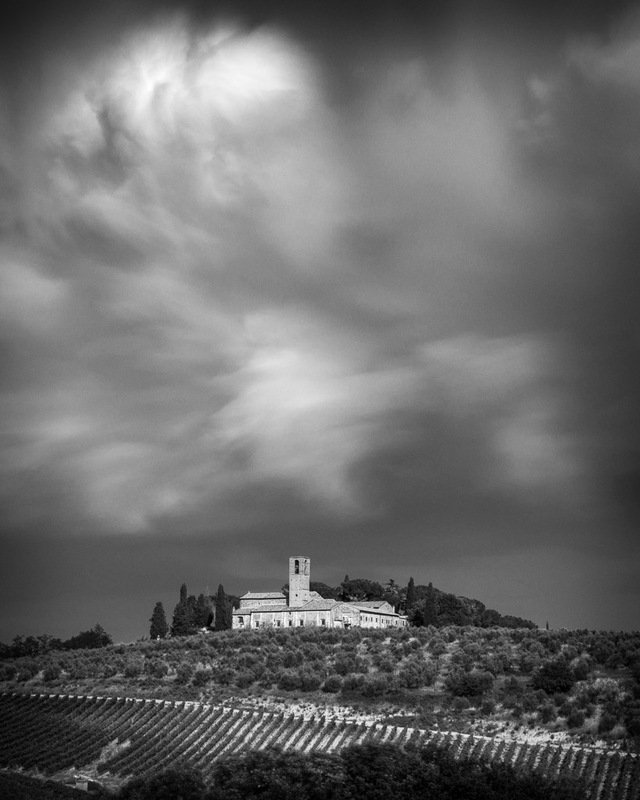 The overwhelming nature of my Italy image library has immobilized me from working on it. I poke in and out and develop a photo here and there. This time I picked some to actually print. 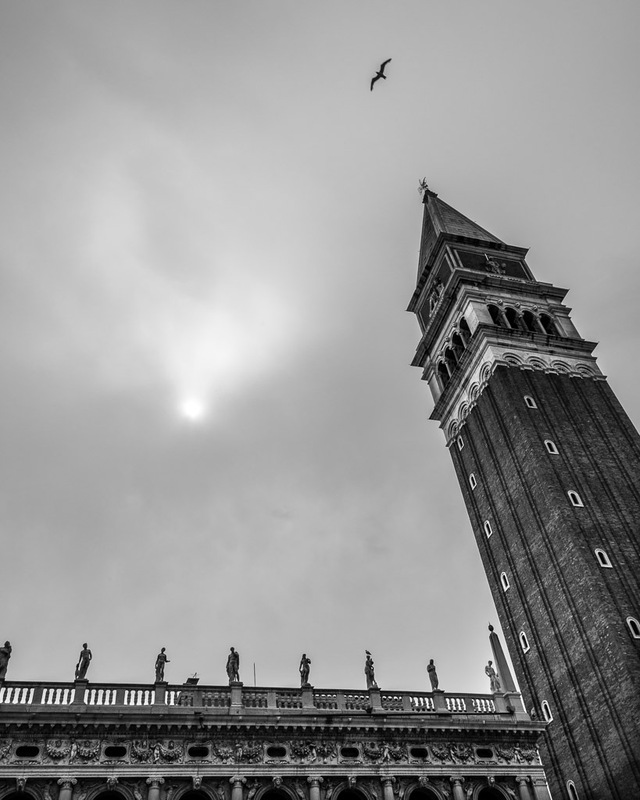 The first was taken in the Piazza San Marco in Venice. 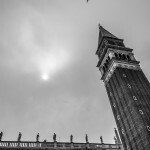 Looking up at the Campanile on this hazy, moody day I asked one of the local birds to hook me up and hover right at the vertex where the sun and tower were pointing. Pretty smart bird so I threw him some crumbs for his trouble. He even gave me a full wingspan. 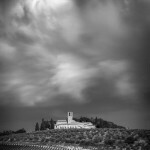 In Tuscany we stayed at an amazing agriturismo just outside San Gimignano. The whole place was magic. And our “back yard” overlooked the bell tower of neighbouring Saint Lucia. I have many photos taken of and from this vantage point. With this one it was all about the clouds overhead, with some swoosh courtesy of a long’ish exposure. This is another example of a photo that I knew would end up in black and white before I even pressed the shutter. 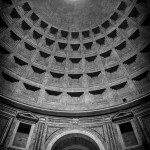 Finally, the massive occulus and dome of the Pantheon in Rome. This building defies logic with such a huge structure arching overhead. And a big hole in the middle, no less! 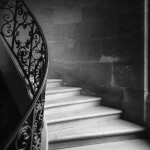 Contrasting and repeating shapes and forms along with light and texture drove the mono conversion here. Amazing building. And so ends my brief tour with some methods to my madness.